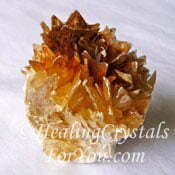 Blizzard Stone Meaning & Use: Need Help Dealing With Earth Changes? Need Help Dealing With The Earth Changes? 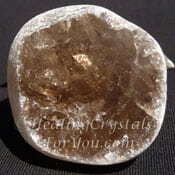 Blizzard Stone has a powerful vibration for grounding as well as also assisting your spiritual growth. It assists you, by allowing spiritual contact without becoming so high on the energy that you are unable to fully appreciate what you have learned in the higher realms. 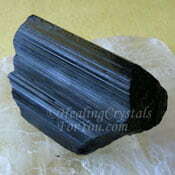 It is a type of Gabbro, and contains a number of different minerals. It works within all chakras, but is very strong at the third eye chakra as well as having a marked effect within the crown chakra. It will help you to deal with the earth changes that are happening more and more, as well as aiding your spiritual and psychic development. It is an excellent stone to use in meditation as it is very grounding, and its energy aids kundalini awakening, but has a more gradual effect for this use. 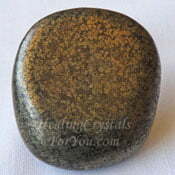 Blizzard stone is also known as Gabbro, and is found in the Alaskan Wilderness. The major constituents of the stones comprise white Feldspar, very dark Green or Black Serpentine, Black Magnetite and the various other minerals mixed through. This stone contains within it an excellent mixture of minerals, blended in such a way that they work together to create a powerful yet gentle effect that strongly aids the ascension process. This is not a stone that gives you a strong kick, but will work over a period of time to create the outcome you desire. The mixture of minerals in this stone brings with it powerful metaphysical properties and healing attributes from each of the various minerals. It is primarily made up of a mixture of quite a few different minerals, including Biotite, Magnetite, Chrome Garnet, Serpentine, Chlorite, Muscovite, Pyroxene and Anorthite Feldspar. Are You Affected By Earth Changes? Blizzard stone is a strong stone to use if you have felt the effects of earth changes deeply and have found it hard to cope with it. It has an action that works gradually with a preventative action that stops your energy field from expanding too rapidly. 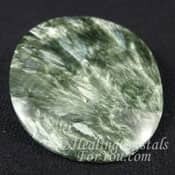 It is an excellent stone for healing the physical body, and this is due in part to the combination of the chlorite stone with the other minerals. This stone creates a strong grounding action, taking excess energy away via the base or root chakra down to the earth star to Mother Gaia. The earth changes are pushing us all to adapt whether we like it or not, but using this stone may help you to do this at your pace. 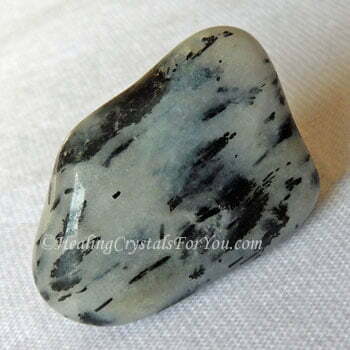 This stone's energy is helpful if you are working on your spiritual growth, including developing your psychic abilities, as it is easy to become ungrounded. It is common to get side effects of having these abilities open up too quickly, including bad headaches, dizziness and generally feeling spacy. 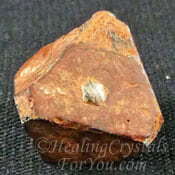 Keep this stone on you to calm the process, as the Muscovite in the stone will help alleviate some of these problems. This stones action allows your body to dictate how quickly it wants to allow the changes you require. 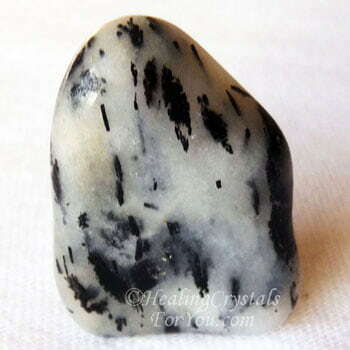 Blizzard stone is a good stone to aid kundalini awakening as it works more gradually and helps your energy field to adapt to the effect over time. The inclusion of the magnetic mineral Magnetite in this stone, aligns the chakras and levels out the energy in the entire chakric system. 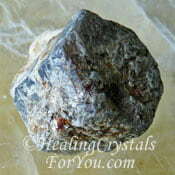 This stone may be called an ascension stone, as it is very helpful to aid the ascension path. 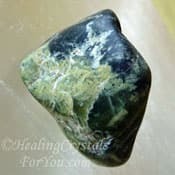 It is a good stone to aid shamanic journeying, and may aid you to go to the higher realms more gradually over time in a way that is more easily accepted emotionally. 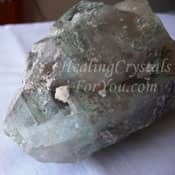 The action of the energy of this crystal within the third eye chakra works to bring through spiritual light from the higher realms. 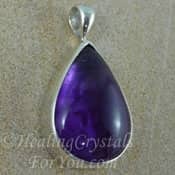 This is brought down from the soul star chakra to the crown chakra and then to the third eye, where it is a strong aid for stimulating the psychic clairvoyant gifts or psychic visions. 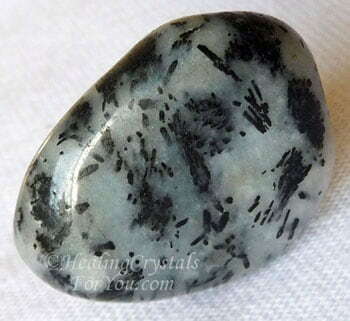 This is an excellent stone to use in meditation, as it brings light into the third eye, which is the area where your psychic abilities originate. 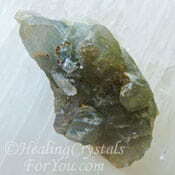 Using this stone while meditating will aid you to develop a range of different psychic gifts including helping to develop intuition and psychic visions. 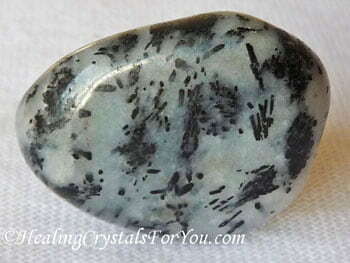 Blizzard stone or Gabbro has a good ability to keep you from becoming spaced out as it is a strong spiritual grounding stones. 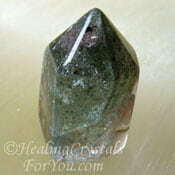 It has a strong action to aid contact with beings in the higher realms due to the chlorite mineral within the stone. 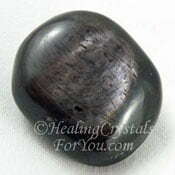 The action of this stone may also help you to contact your spirit guide and aid you to remembering what they communicated to you during meditation. It has a good action within the throat area to aid your communication abilities, and assist you to verbalize what was said to you when you finish. Because you remain grounded it is also easier to remember what was said. 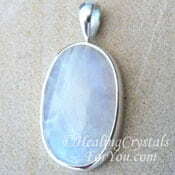 One of the best ways to use this stone is to keep it on your body. You can do this by putting a piece in your pocket, but an easier way is to wearing a piece of this stone inside one of those metal cages or a macrame holder. 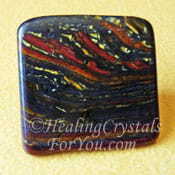 As the effect of this stone builds over a period of time this is an easy way to keep it on you every day. 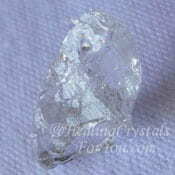 This is a simple solution, and they can be easily altered when you want to change the stone you are using. 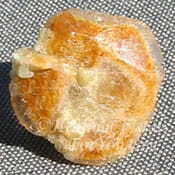 Although jewelry is not common made from this stone, see if you can get a piece as it is a quite attractive stone. Keep another stone under your pillow, and you will be able to have it aiding you all the time. 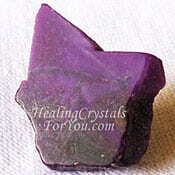 Blizzard Stone has a strong healing action and aids your body in a number of ways. As mentioned above it will help you if you are affected by the earth changes and get headachy or dizzy after meditation. It works within all of the chakras, but has very strong vibration at the third eye chakra as well as having a marked effect within the crown chakra. Blizzard stone has a gradual effect to aid kundalini awakening, and because it contains a number of different minerals, it has a varied action within the body. It will help you to deal with the earth changes that are happening more and more, as well as aiding your spiritual development. 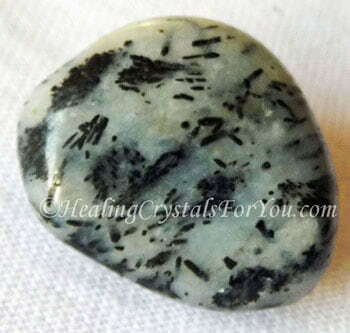 Gabbro is an aid for spiritual growth, and it will aid you on your quest for ascension. 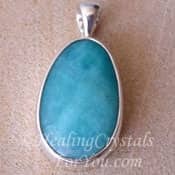 It is helpful in a large number of ways, including having an excellent vibration to create a grounding effect, as well as also helping the growth of psychic gifts. It has an excellent action to boost the immune system, so will help your body to heal from any type of infection. This is a strong stone to clear blockages in the meridians, which will aid your overall healing, and is known to alleviate fevers and to help the body to heal after sprains or bruising has occurred. It has a good action in the area of the heart, and is said to aid heart related health issues and blood system and heart problems. This stone is very helpful to aid your expansion mentally, and this is due in part to the inclusion of Muscovite in the stone. 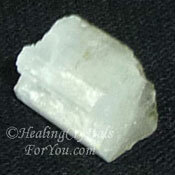 This mineral has an excellent effect to enhance mental abilities and to prompt inspired thinking. 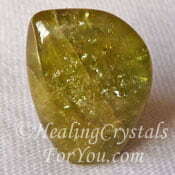 Blizzard stone is also very supportive emotionally and is especially helpful if you have a dominating personality. It aids you to allow those in your life to make their own decisions, without you always feeling that you need to control what they do. 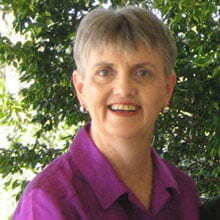 This will work gradually, and allow you to see where you need to let go of your need to control others. It assists you to let them live their life their way, even if they do things differently to what you think is the 'right way'. You may find you feel happier as well when you see them blossom. 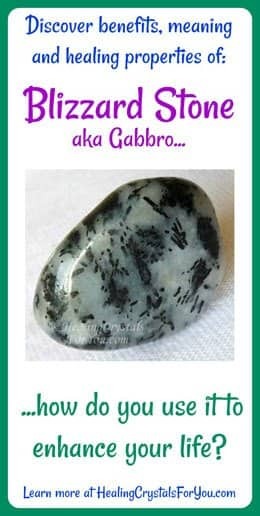 If you are not aware that you have been controlling others, Gabbro also allows you to see where you have been acting in this way. 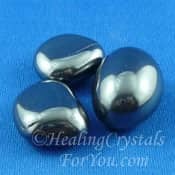 Sometimes it is hard to deal emotionally with this, but the vibration of Blizzard stone will also help you to confront these issues head on without trauma. 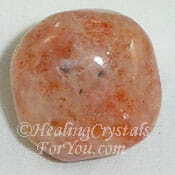 This is also a good stone if you have a bad temper, as it will calm you emotionally, and help you to stop reacting in a violent way. For anyone who is in a relationship with someone like this, place a piece under the bed where the violent person sleeps. Having this within their auric field every night will work gradually to aid them to change. "When you are through changing, you are through." Bruce Barton. 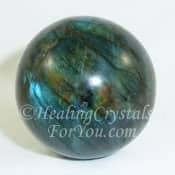 Sphene, Rainbow Moonstone, Labradorite, Hypersthene, Blue Sapphire, Dream Quartz and Sugilite are all strong stones that aid the development of psychic visions, so any of these make an excellent combination, and are powerful to aid this aspect. 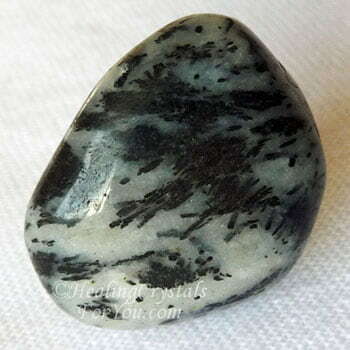 When you are working in the higher realms with any of the high vibration stones, Blizzard stone will assist you to feel more stable and grounded. Use this stone with high vibration stones to move your spiritual growth forward, including Golden Herderite, Phenacite or Natrolite. For healing, combine it with stones such as Amethyst Crystals, Seraphinite or Ajoite as Gabbro is known to magnify the healing action of other stones. Any of the stones that have the same mineral constituents as these stones will combine well, and this is especially useful to accentuate the vibration of that particular mineral. This includes Serpentine, Muscovite, Green Chlorite Quartz and Seraphinite, which is a green stone high in chlorite. Any of the stones in the Feldspar group will combine well with it and this includes Amazonite, Sunstones, Labradorite and Moonstone. When working with these very high vibration stones, you may like to add in extra grounding stones such as Black Tourmaline, Smokey Quartz Crystals, Hematite, Magnetite, Tiger Iron or Healers Gold.